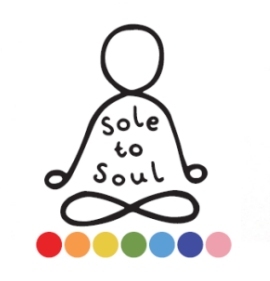 Fully qualified beautician & yoga instructor in Bedhampton, Havant. 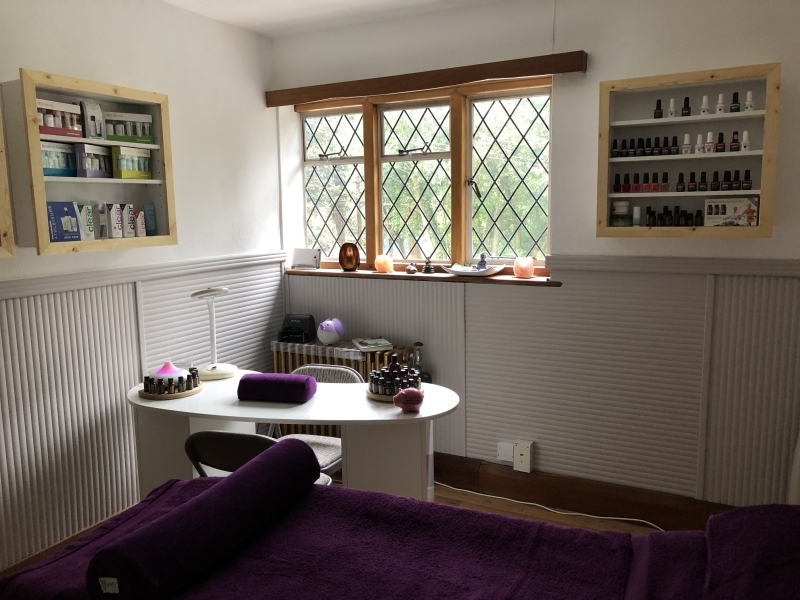 Internationally qualified beauty specialist, holistic therapist and yoga instructor (MGBT IIHHT VTCT IHBC DipFRYOG), Jennie, welcomes you to her secluded treatment room situated in a first floor annexe in the wooded grounds of Littlepark House, where peace and pampering are guaranteed. 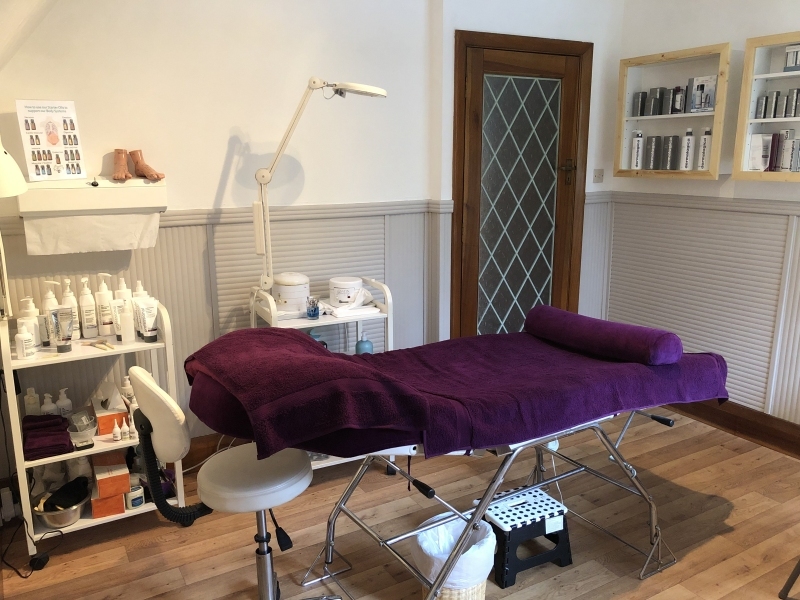 Jennie prides herself on her professionalism, experience and personal attention to detail using result driven, high quality beauty and holistic products to leave clients feeling nurtured, with an enhanced sense of well being. Located in Bedhampton in Havant, with close links to the A27 and A3(M), Bellissima is within easy reach and offers ample free parking on site. Booking in advance is essential. Men by referral only. Our price list may be downloaded here. 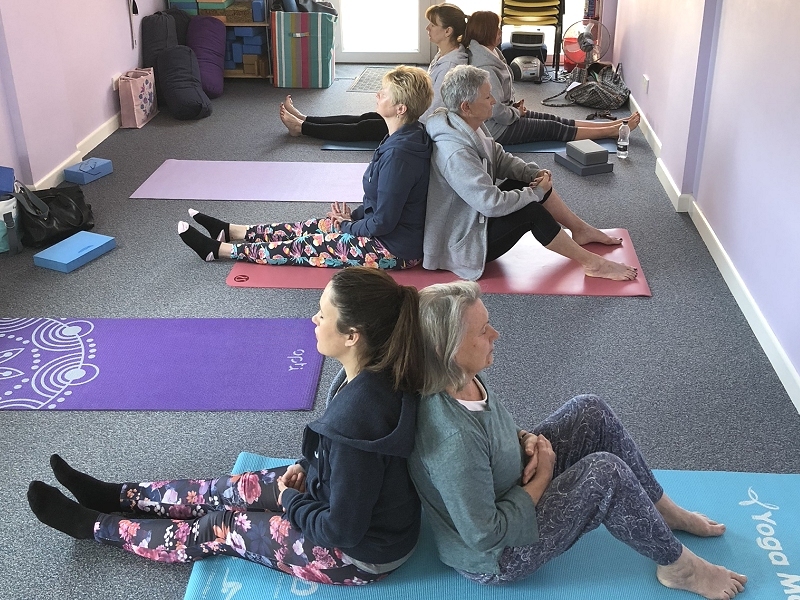 My yoga classes embrace asanas (postures), pranayama (breathing techniques) and meditation and relaxation which, combined, endorse a greater sense of well-being, both mental and physical, the benefits of which are now widely recognised by health-care professionals and everyday folk alike. 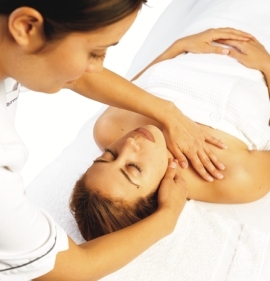 My luxurious signature facials are extremely popular and Dermalogica facials are held in high regard among my clients. If you need to get rid of unwanted hair then waxing is the answer! This effective and long lasting method of hair removal will leave you feeling silky smooth and eliminate the chore of constant shaving. 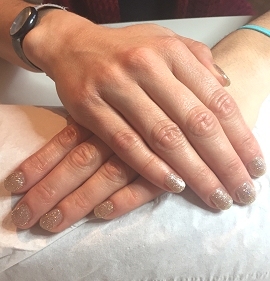 I am proud to offer a choice of luxurious manicure and pedicure treatments ranging from an express file and polish taken during your lunch hour to the luxurious paraffin wax options. Eyelash & brow tinting, eyelash lifting & shaping are all quick fixes to present a youthful impression - some say these treatments are as beneficial as a non-surgical face lift! 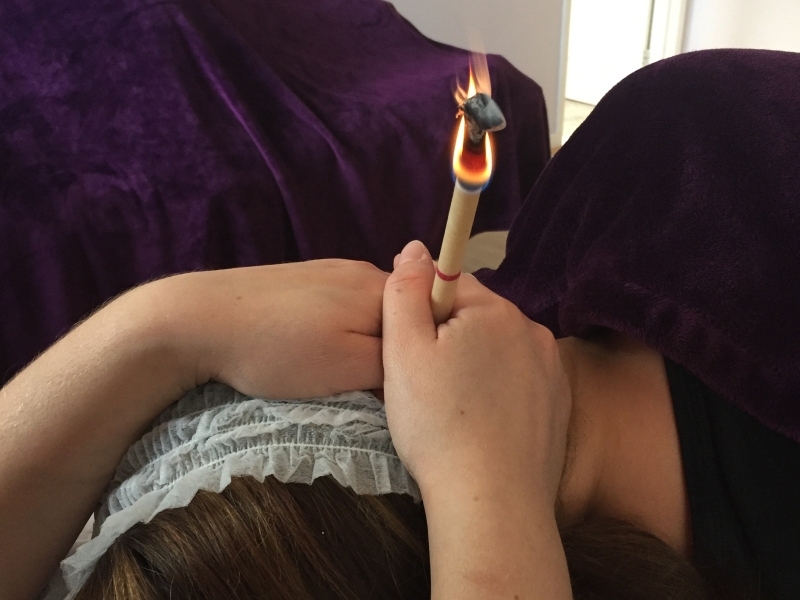 Hopi ear candling is very popular for relaxation and rejuvenation or for treating migraines, sinusitis, catarrah and hayfever. Otherwise known as Thermal Auricular Therapy, it is a traditional holistic therapy that dates as far back as the Ancient Greeks! I offer Body Radiance which is a popular all over treatment throughout the year and more importantly prior to going on holiday. The client is exfoliated from head to foot with a sugar or salt scrub which is then soaked off in the bath before essential oils are massaged into the skin, creating a youthful glow and leaving you exhilarated. On the subject of massage, I am pleased to offer clients Swedish Body Massage, Aromatherapy Massage, Hot Stone Massage and Indian Head Massage, all of which induce relief of muscular tension, relaxation and general well being. 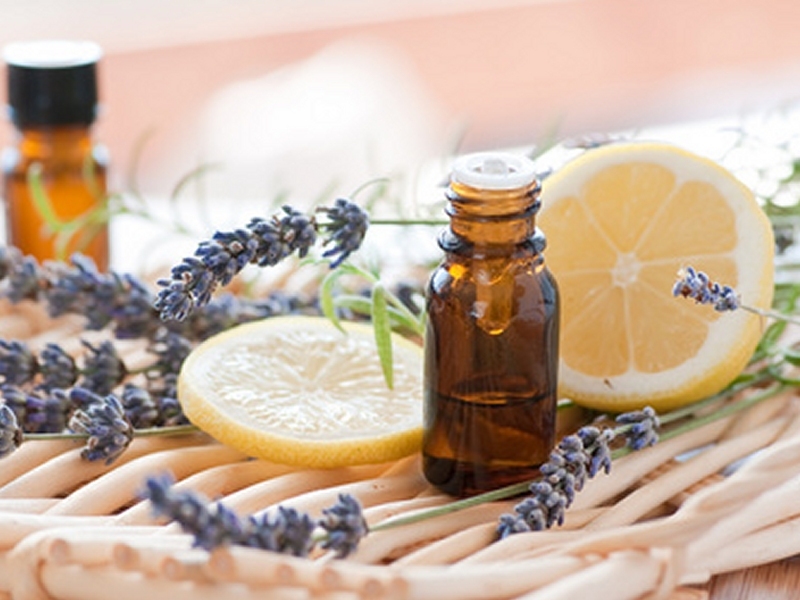 I continue to study and understand the healing powers of Do Terra pure essential oils and the enormous range of mental and physical conditions that respond well to nature's own medicine, otherwise known as aromatherapy. The beauty of aromatherapy massage is that even a feather-light touch can improve ailments such is the potency of these precious CPTG* oils. "I have been going to Jennie for my beauty treatments for 6 years now and am always provided with a friendly and professional service! For my wedding there was no other person I would go to for my mum and I to have a bit of pampering and our nails done. A wonderful experience the day before my wedding to help me relax and enjoy some me time before my big day! My mum and I were so happy with our nails and I felt beautiful thanks to Jennie's treatments! Thank you so much Jennie for your hard work and always making whatever treatment I have an enjoyable experience!" "Always perfect. I've had various treatments and always come away feeling amazing. A real treat for body and soul. Love the Neal's yard oils too, first night with sleep oil and my daughter slept through for the first time in months." "Jennie's yoga classes are amazing. A perfect balance (see what I did there :-) ) of all the elements needed for perfect yoga practice. I'd go every day if I could. Thank you Jennie "